Steve McIntyre is a pernickety Canadian. A retired mining geologist, trained mathematician and amateur climatologist, he has for the past eight years locked horns with the Climatic Research Unit (CRU) at the University of East Anglia, trying to gain access to their data on the history of global temperatures. He is not (repeat: not) paid by, beholden to or in regular contact with fossil fuel companies or lobby groups trying to undermine climate change science. 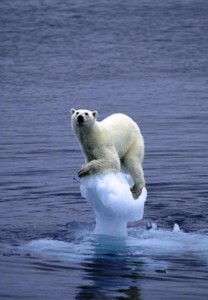 He is not even a climate sceptic. For years, McIntyre has been asking for CRU’s “crown jewels”, raw data assembled from weather stations round the world that it says proves how much the world has warmed in the past 160 years. He does not believe this conclusion is a big lie. But he does want to see for himself. And in particular to look at how the data had been “manipulated” — a perfectly honourable process in which, for instance, some weather stations are made to count for more than others because they represent large areas with few weather stations, while others are discounted because their rural locations have been invaded by growing cities. It’s not what everybody wants to do on a Saturday night, but surely he is exactly the kind of citizen investigator the 2000 Freedom of Information Act was intended to help. Of course, his persistence has not made him a friend of CRU’s director Phil Jones. The crown jewels are his life’s work. For years Jones held out, with the backing of his university’s Freedom of Information (FOI) officers, from releasing the data to McIntyre. Jones said it was commercially valuable. He said it was his intellectual property. He said revealing it would damage international relations. 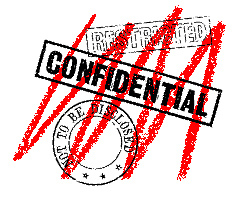 CRU has been congenitally hostile to FOI requests from McIntyre and others. At the end of 2009, 105 FOI requests had been submitted to UEA for CRU data, of which only ten had been acceded to in full. The battle between the two men for the crown jewels was the backdrop — and very possibly the motive — for the still-mysterious hacking of CRU’s emails and their publication online at the end of 2009. Much of the world’s science community sided with Jones in the resulting “climategate” saga, condemning what they regarded as politically and commercially motivated attacks on their research. But others took McIntyre’s side, seeing him as a data libertarian. And last June, following a new request for the data from Jonathan Jones, an Oxford physicist and “climate agnostic”, the FOI’s commissioner, Christopher Graham, finally ruled that the crown jewels should be handed over. And they were, a month later. The world did not fall in. If CRU had been more open with its data from the start, a great deal of time and angst on the part of its scientists — and a great deal of public uttering of paranoid nonsense from climate deniers — would have been avoided. And if, in the months before the hack, Jones and his colleagues had not spent ever more time bitching about McIntyre and scheming to keep their data and working methods secret, then the emails would have contained little of outside interest. Graham’s decision unlocks some four million temperature readings taken at 4,000 weather stations over the past 160 years. But as the journalist Jonathan Jones put it, “the most significant features of this decision are the precedents that have been set”. It could open the door to thousands of other British researchers being required to share their data with the public. Good. Under the 2000 Freedom of Information Act, universities, like other public institutions, must share their data unless there are good reasons not to. It is now clear that the good reasons have to be just that — not excuses. Graham, who is the final arbiter in FOI requests, was scathing in his ruling that CRU claims that sharing data would harm international relations were “highly speculative”. And on commercial considerations, he noted acidly: “it is not clear how UEA might have planned to commercially exploit the information”. But should all publicly funded data be free, and all publicly funded researchers required to hand it over? In an age when data distribution is so easy, it is hard to make a case that sharing data is just too hard. After the military, scientific researchers were the first people to use the internet, precisely so they could share large data sets among themselves. So why not let us all join in? But what about emails and research notes and the data from failed experiments? Some believe requests for such stuff would both damage research and overwhelm researchers. And some think your access should depend on who you are. At the same time as the climategate FOI requests began building up at CRU, the giant tobacco company Philip Morris began — initially anonymously — asking for data from Scottish researchers who had interviewed thousands of teenage smokers on what they thought about tobacco marketing. Not only was this expensive research – paid for by a cancer charity — it was also, as the head of the Stirling University research unit Gerard Hastings put it, “the sort of research that would get a tobacco company into trouble if it did it itself”. The researchers have held out — and went public with their disgust in the Independent in September. But here’s the bottom line. 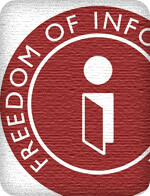 FOI legislation is “applicant blind”, as Maurice Frankel of the UK Campaign for Freedom of Information puts it. It does not matter if the thoughts of smoking teenagers are of interest to Philip Morris or the National Heart Foundation or someone who wants to stop their child from starting to smoke. They are, and should be, all the same. Otherwise Friends of the Earth would never get pollution data. In this case, researchers may be able to argue that disclosing the information could jeopardise future planned research, for instance by drying up funds from cancer charities. But Graham’s tough line with CRU suggests that argument is not guaranteed to succeed. One reason scientists have such a problem with FOI is that virtually none of them realised that it would apply to them. Certainly, the science community failed to consider the consequences or lobby for the drafting of laws that might make sense for them. Only now is the Royal Society trying to catch up by forming a working group to discuss openness in science. In the months after climategate there was much discussion in the science community about the need for greater openness. But outside those in the open access movement, it has faltered. The message in the labs is that the inquiries into the affair absolved the scientists of any wrongdoing. That is not quite true. The inquiries decided, rightly, that there was no grand conspiracy, although they felt they were not in a position to judge the finer points about the conduct of the science. The main enquiry, under Sir Muir Russell, seemed particularly confused about FOI. It noted damagingly that CRU had shown a “consistent pattern of failing to display the proper degree of openness”. But on the detail it showed a sometimes breathtaking lack of attention. It concluded that “there was no attempt to delete information with respect to an [FOI] request already made”, when the emails published online revealed quite clearly that one round-robin requesting the deletion of an email correspondence was sent two days after an FOI request for precisely that information. Much of science has “closed ranks” behind the idea that those demanding access to their data are troublemakers. Nobel laureate and Royal Society president Sir Paul Nurse says “some researchers … are getting lots of requests for, among other things, all drafts of scientific papers prior to their publication in journals, with annotations, explaining why changes were made between successive versions. If it is true, it will consume a huge amount of time. And it’s intimidating.” Maybe, but the current law allows vexatious requests to be rejected. So that is a straw man. In any event, the whole point of research is that it should be open to maximum scrutiny. And the scientific priesthood can no longer claim that scrutiny should only be among their specialist fellows. The charge of sloppiness in the way science often portrays its findings to the wider public is also a warning against allowing too much self-policing. In June, the Intergovernmental Panel on Climate Change issued what it said was a summary of the findings of a detailed study of renewable energy. It headlined the claim that 77 per cent of the world’s energy needs could be met from green power by 2050. In fact, the “77 per cent” finding was the most optimistic of hundreds of academic studies reviewed in the report itself. Moreover, that particular study was conducted by one of the report’s own lead authors, who was also a Greenpeace campaigner. Curious. But most damagingly of all, this highly relevant information only emerged a month after the press release and subsequent media coverage, when IPCC got round to publishing the report itself. This was shameful spin. The fuss over climategate showed that the world is increasingly unwilling to accept the message that “we are scientists; trust us”. Other people want to join the scientific conversation. Good scientists, interested in finding truth, should want to encourage them, not put up the shutters. The wider world instinctively knows to distrust those in all walks of life who reject openness. As McIntyre put it recently, “probably no single issue damages the reputation of the climate science community more than the refusal to show the data that supports their work”. There should, for the good of science as well as public discourse, be a presumption in favour of open access. McIntyre, meanwhile, is still hunting. He believes CRU researchers using tree rings to unpick temperatures in past eras may have been cherry-picking their Siberian logs to help sustain the argument that recent decades are warmer than anything in the past 2,000 years. He cannot be sure, because they are still refusing to hand over their full data sets. CRU’s justifications have a familiar ring. Disclosure could do “financial harm” to the university by reducing its “ability to attract research funding”. Really? If McIntyre eventually gets the data, could it undermine the case that man is warming the world? Certainly not; that is independent of past natural variability. Could it change our ideas about past natural climate change? Conceivably, yes. Is it a scandal that McIntyre cannot get to see the data to review CRU’s work and do his own science? I believe it is. This article appears in Dark Matter the winter 2011 edition of Index on Censorship magazine, which explores science and censorship. Really? He’s on the record as saying he has no idea how big or small a problem AGW might be. When asked where all the energy evident in recent decades’ temperature might have come from if not from CO2, he had no coherent answer. However he did make some vague reference to the “Lindzen hypothesis”, so he certainly does not subscribe to the AGW consensus. But you knew that already – you were there on the stage with him! If they are publicly funded then why not? It appears from previously leaked emails that climate change may always have suspicion placed upon it. And eventhough most scientists and some people acknowledge that it exists, many still dont see that it will be catastrophic. World meetings where major nations agree to do a minor reduction by 2020 isnt going to meet acceptable changes. Governments all want to stay in power by taking easy options. If the human future and animals and flora arent to be severely negatively affected, somehow someone somewhere is going to have to bite the bullet and just ban the bad things or make them so expensive people and companies are forced to change their ways. So scientists should do the hard work, sometimes for years, and then hand over the results to anyone capable of working an Excel spreadsheet, who can spin the data to suit their beliefs without any of the checks and balances found in research? Why do research, when you can be an internet sensation? The topic of this article is how upside-down this particular brand of science operates. As mentioned above, the evidence belongs to everyone. McIntyre or anyone, puzzled by the conclusions, is entitled to the information under the law. Actually, the Hockey Stick is the opposite of what the consensus position of paleoclimate science was since it failed to detect the MWP. Like many others familiar with this area of science, McIntyre’s skepticism of the HS reconstruction raised red flags. If the team and activists, such as yourself, were truly confident in the HS, present that “overwhelming evidence”. He we have a talented statistician eager to audit the data and the analysis, for free. Even if Steve stood to potentially profit from his conclusions, it doesn’t change the evidence. Anyone who’s skeptical of his motivations, can in turn, audit his analysis of this solid science once it’s complete. But no! Rather than address the substance of this article, you immediately resort to the most unscientific tactic of smearing his credibility. What exactly does that have to do with the science? Hitler could come back from the grave and malign CAGW, and it wouldn’t change the facts. If McIntyre states he is not skeptical of ACC theory, just Mann’s shoddy analysis, then asking him trick questions is ridiculous. The public sees the secrecy, compounded by smear tactics, and the appalling ethics revealed in the emails (that survived the massive purge ordered by Jones). We are left to speculate about why. Stop with the distractions and provide this irrefutable proof that we assured exists. Not in regular contact with fossil-fuel funded lobby groups? Well maybe less than he used to be, although McIntyre and McKitrick did get CEI’s Julian Simon award in 2010. I don’t think you’ve ever mentioned McIntyre’s co-operation with APCO Worldwide’s 2005 PR campaign – a campaign that promoted an industry funded propaganda film, and first got McIntyre noticed via a series of articles in the National Post. Perhaps you weren’t aware of it. In 2005, CEI and George Marshall also did a lot to spread the word, and McIntyre’s blog skyrocketed to thousands of hits a day. However even more reprehensible has been McIntyre’s co-operation with attacks on science and scientists by U.S. politicians. This is a pattern that runs from the first 2003 visit to Washington, through the Barton attacks in 2005-2006 (including the now discredited Wegman report), right on up to this year’s leak of confidential testimony by Eugene Wahl, presumably via an Inhofe staffer. I also note that you have yet to acknowledge the falsity of McIntyre’s “hide the decline” accusations against Michael Mann and other scientists, somewhat puzzling for a journalist who purports to be an expert on the details of the climategate emails. As an unconvinced but concerned observer of the AGW debate and as a non-practicing scientist, I applaud Fred Pearce’s article. His argument that open access to the data on which a research paper is based should be the default position (except in specific cases) appears unarguable. It is shocking that many, perhaps most, journals do not impose this requirement on their authors and so make replication, a critical part of the research process, difficult or impossible. It is equally shocking that so many scientists appear happy with the status quo and it is particularly shocking that Sir Paul Nurse (and by extension the Royal Society) should appear to align himself with this position. Professor Phil Jones’ response when asked for the data on which one of his papers was based was””Why should I give you the data when all you want to do is find something wrong with it” represents an attitude that should have no place in science and those like Fred Pearce, who attempt to change that mindset, are to be congratulated. A good balanced article for the most part but unfortunately Fred Pearce couldn’t resist the temptation to include the “climate denier” slur, so redolent of the true believers. I commend your quite wonderful post and I think your more than right about your characterization of Steve McIntyre. What is disturbing in the new slew of emails and in the old is how quickly his occasional requests made him an ‘enemy’, a shill for the oil companies, as Mann frequently attempts to say. Academics have only latterly, historically speaking, come to believe that data, the evidence for their particular hypothesis should be a state secret. That’s OK when it’s about the digestive system of a gnat but when it involves the most extraordinary decisions then one is not unfair, is one, in requesting to see every and all particulars? CRU, Phil Jones et al, love to claim that they were ‘harassed’ by veracious and unjustified FOIA requests but the history tells against them – that only in ’09 did such a slew happen and only after McIntyre et el had very politely and quietly tried on their own. As the former Chief Information Officer said himself, 50 or so requests are hardly vexatious and are less than usual. As for ‘climate change’ it is ultimately a boring discussion – it is the politics and policies of Governments that one really is exercised about. Fred, I think you (or your sub-editor?) are confusing “the journalist Jonathan Jones” with “the physicist Jonathan Jones” (not to be confused with “the biologist Jonathan Jones”, who happens to be based at UEA!). I’m fairly sure that “the most significant features of this decision are the precedents that have been set” is from me (the physicist). I would very much like to see Mark S provide a link to where McIntyre himself applies the word “fraud” directly to either Phil Jones or his work. Fred Pearce wrote: [Steve McIntyre’s] persistence has not made him a friend of CRU’s director Phil Jones. I am reasonably certain that Phil Jones’s resistance had more to do with McIntyre’s uncharitable criticisms and allegations of scientific fraud. McIntyre assumed the worst of motives. Hence, when a research team requested the very same data, Jones was happy to comply. In fact there were two UK academics who asked CRU for the temperature data and won the appeal to the ICO, Jonathan Jones and Don Keiller (one of the excuses Phil Jones had used to McIntyre was “you can’t have it because you’re not an academic”). Thanks, Mr Pearce. An excellent and balanced article. It always worries me when articles begin with unsubstantiated statements. Fred says “A fresh round of climate science emails were hacked and released to the public last week”. Well, we don’t yet know if the emails were hacked or if they were released by a whistleblower’ so this is rather naughty. It is also clear that this second release is an adjunct to the first batch – no newly gathered information at all, merely more of the same from the original source. Had I been so careless, I would have expected to be fired, but I suppose different rules apply to AGW promoters! If you get the impression from this article that CRU researchers were being harassed by large numbers of FOI/EIR requests (“At the end of 2009, 105 FOI requests had been submitted to UEA for CRU data”), it is worth bearing in mind p90 of the Muir Russell Climategate report. What happened? Steve McIntyre had submitted a request for data. CRU had refused (23 Jul 2009) by saying it had confidentiality agreements with the met office of various countries which had been supplying CRU with that data. So the avalanche of requests was not for data. It was for proof of the confidentiality agreements – which were being used as the excuse for not providing data, and which Steve McIntyre doubted even existed. He described them as “alleged CRU confidentiality agreements (which look increasingly fictitious)”. I find it incomprehensible that a scientist, any scientist, could publish a paper and draw conclusions from the science in the paper without sharing their data and methods on request. There are scenarios I suppose where the publication of the data and methods might be useful intellectual property, but in this case Jones et al are doing mundane science, I, a “denier” Fred, have never thought there was gross manipulation of the data, my view was, and still is, that they were ashamed of the way it was archived. Having said that Fred, your point that there would have been on controversy if they’d given McIntyre the data doesn’t hold up in the Climategate 2 files. They are a pretty ugly bunch seen to be trying to get fellow scientists fired for having the temerity to suggest that their historical climate reproductions, which over threw decades of scienctific acceptance that the MWP existed, weren’t correct and there was a MWP. And they’ve tried to hide the considerable uncertainties in the science to give a picture that demands the demolition of Western industrial society to avoid catastrophe. We are already suffering from their depredations, taxes are being imposed on every part of our lives to try to do the impossible and stop AGW. I agree with the main thrust of this argument and it may well be that research by commercial organisations are protected to prevent damage to the company. However in this case we are talking about temperature readings for goodness sake? One advantage of adopting Mr Pearce’s view is that it is a further check and balance which may have resulted in the discreditable behaviour reveales by the current leak.